Would you like an excuse to drink wine in all corners of our great state? Indiana Grown is excited to announce our brand new member wine trail! 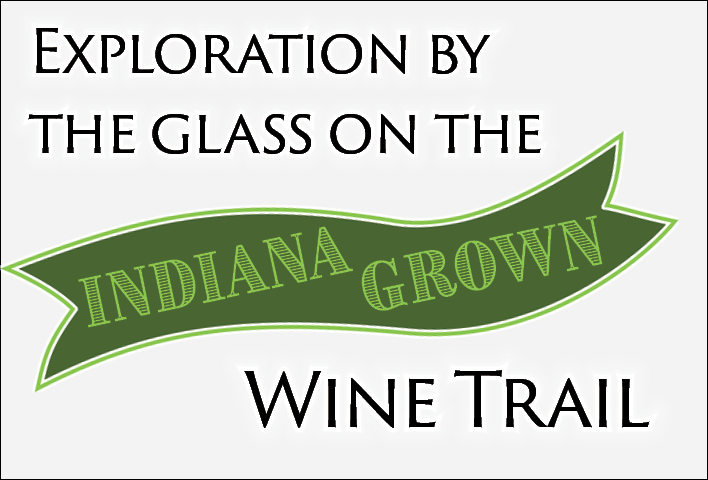 You may not normally think to look locally for wine, but we’ve gathered all of our Indiana Grown wine members to create a trail so you can enjoy the finest Indiana has to offer! And the best part is, you’ll receive a prize for completing the trail — a custom, hardwood wine stopper! 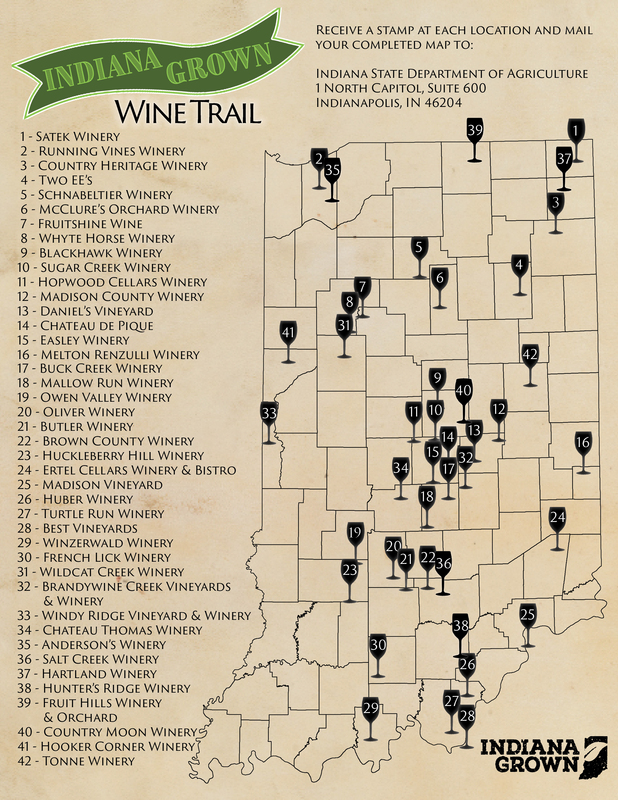 Download and print your free map here: Indiana Grown Wine Trail Map. Note: This is a growing map that will be updated as new members are interested in joining the trail. The latest version will periodically be uploaded to this page. By the time you’ve finished the trail, you’ll see why you don’t have to go far to find a good bottle of wine! Do you really expect people to go to all 30 wineries? 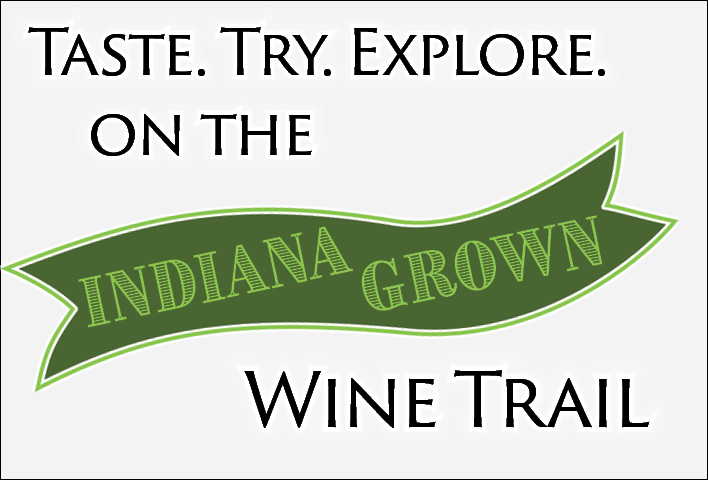 There is no time limit to the Indiana Grown Wine Trail, but rather we encourage participants to use this as a reason to travel the state and experience the wineries at their leisure. I’ve been to some of those already, will go to some again. As for all 30, takes time, but heck ya. ill give it a try. Amy chance there’ll be an app? There used to be one with Indiana wineries but it’s no longer available. I use Wine Passport now but lots of Indiana wineries aren’t listed. Unfortunately, we don’t have an app for this wine trail. Thanks for checking, and we hope you enjoy participating! LOVE THIS! Printed the Map for my truck! Added Notes to my phone! ❤️ anything Indiana! 🏁 Thanks for sharing! We love to hear this! Hope you enjoy the trail! Great idea, Jodi! Since there is no time limit to the wine trail, Hoosiers have plenty of time to break it up over time. There is a wine tour service in Indiana that involves transportation called DeTours. Maybe they can start tours of our wine trail! 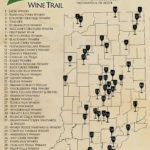 Why is Salt Creek Winery not on the trail? The map keeps changing (2 wineries are now not part of this on my current map and 4 others have been added). If we currently have one printed do we need to reprint and get the new ones that were added to be receive the wine stopper? You do not need to reprint the map. It will continue to grow, so as long as you complete the version you began with, you will receive the wine stopper. How do we visit Melton-Renzulli Winery? Do we have to go to the Cordial Cork restaurant? It doesn’t seem like they have a tasting room of their own. Yes, you can visit Cordial Cork, and they can stamp your map there! 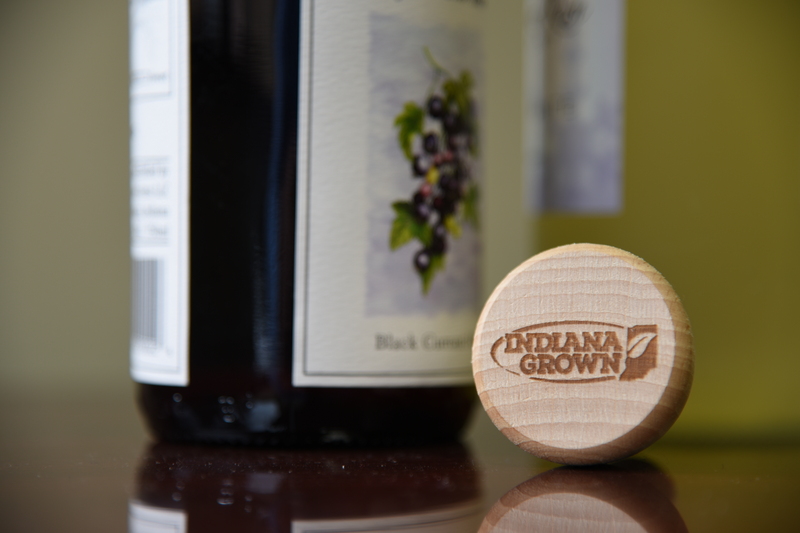 Thanks for participating in the Indiana Grown Wine Trail!